USDA is abandoning the National Animal Identification System (NAIS) and changing strategy to a state-based system. •	Be implemented transparently through federal regulations and the full rulemaking process. Read more from USDA here. Since he NAIS is no longer in existance, it could be better that the States and Tribal Nations create their own Animal Identification systems. Will be interesting to see how this works. 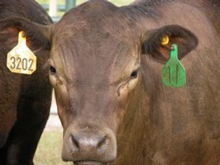 Visit Livestock-ID, Animal Identification Resources!